The Marina Grande on The Halifax came to us to pair their residences with fresh branding and a website that reflected their upscale appeal. Starting with photography and video capture, we assembled stunning visual imagery that immersed the visitor and brought the property to life on a website that showcases the community’s appeal. 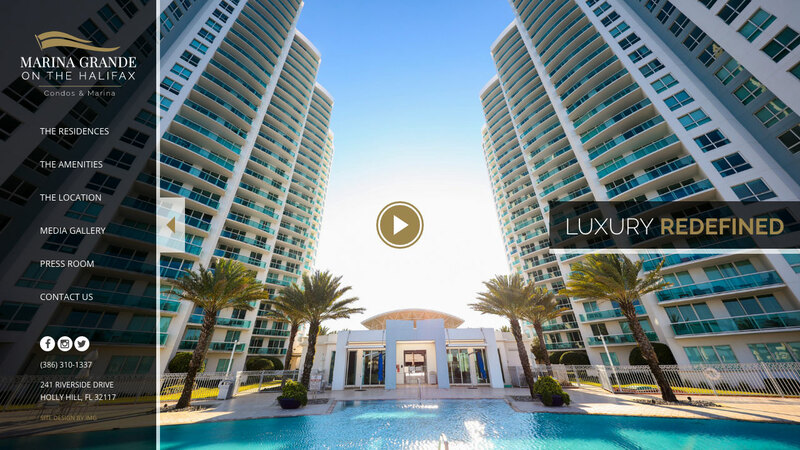 The branding was updated to modern standards with a sleek look that matches the condominiums themselves, topping off the website’s focus on aesthetics. A key goal of the project was to deliver an increased lead flow of prospective buyers and tenants. The new site was fully integrated with Infusionsoft to allow automated lead capture and tracking. To deliver those leads, a combination of SEO/SEM and social media were used to identify and capture prospects in targeted markets. Within the first three months of the site’s launch, the Marina Grande on The Halifax experienced a 500% increase in qualified, web-based leads at a 40% less cost-per-acquisition than the industry standard.